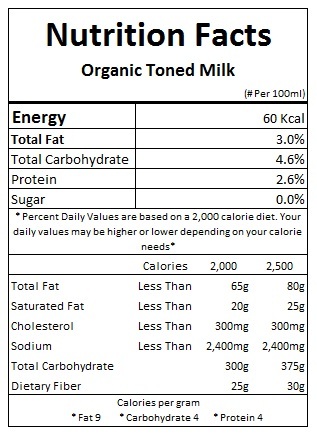 Milk untouched by hand from Holstein-Friesian cows fed Certified Organic feed. 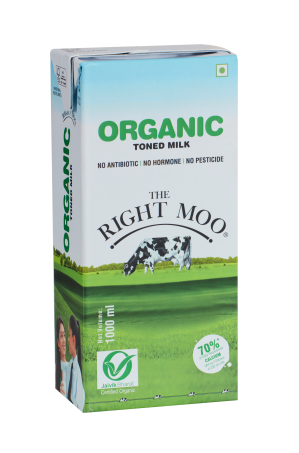 No Pesticides, No Urea, No Aflatoxin M1, No hormones, No antibiotics, No GMOs, No heavy metals. Amazing taste- sweeter in taste as cow is given more of green grass. Has high CLA, Calcium and Vitamin E. UHT treated - free of bacteria- no preservatives used - packed in Tetra pack for shelf life of 6 months in ambient temperature. No boiling required- safe to drink cold.